So you’re interested in a position on SGA? That’s awesome! Check out the various applications and descriptions below, to figure out which SGA Board is most appealing to you. Butler SGA is a pretty big organization; we are sure that you’ll be able to find a position that’s fun, utilizes your talents, and will help you grow as an individual. Click here to apply for BITS site Leader. Applications close on April 20th. The Service and Philanthropy Board is comprised of key leadership from the three philanthropic organizations that SGA sponsors: Bulldogs in the Streets (BITS), Butler Ambassadors for Special Olympics (BASO), and Butler University Dance Marathon (BUDM). Bulldogs in the Streets is a campus-wide day of service usually held on one of the first weekends of the school year. On this day, Over one thousand students, faculty members, alumni and other Butler community members go out into the Indianapolis area and other places around the country to serve at a plethora of organizations and sites. Butler Ambassadors for Special Olympics is a student organization within SGA that The Service and Philanthropy board also hosts several smaller service projects throughout the year. In addition, the board is a resource to all student organizations with a philanthropic focus. Service and Philanthropy hosts the Service Summit— an annual event that allows service-based organizations to learn how to plan and execute more intentional, goal-driven events and make a greater impact. Click here to apply for Finance Board! Applications are due April 20th. The Finance Division of SGA is designed to allocate funding to various student organizations on Butler’s campus. The ultimate goal of the board is to provide these organizations with the resources they need to strengthen the Butler community and ultimately enhance the Butler student experience. Members of the Finance Board are at the forefront of the Grants Proposal process. Committee members will examine, evaluate and critique organization budgets and grant applications presented by student leaders on campus. Grants committee members must possess strengths in communication, organization, detailed-work and a desire to further their knowledge of the budget process. Meetings will be held once a week and will last roughly one hour. Click here to apply for MArcom. Applications are due April 17th. Put your knowledge to good use by joining the Marketing and Communications board of Butler SGA. The Marketing and Communications board (often referred to as MarCom) is a team of students who put their skills to use by helping Butler SGA better communicate with the student body. We are looking for students who value working as a team to continue to cultivate a transparent relationship between Butler SGA and the student body. Click here to apply for Program Board. Applications are due April 20th. SGA’s Program Board serves the student body through a variety of different activities and events, both on and off Butler’s campus. As a member of Program Board, you will have the opportunity to work with your co-chair(s) and advisor to serve the interest of all students. Click here to apply for Diversity, Equality, and Inclusion Board. Applications are due April 20th. The Diversity & Inclusion Board aims to educate the people of Butler University on issues of race, ethnicity, spirituality, gender, and sexuality–and much more–and to provide programming to address these aspects of diversity. DIB aims to help Butler celebrate, respect, and understand our differences to ultimately bring us closer together as a community. Check back later for applications! The SGA Student Senate is comprised of 40 student senators. Senators organize and plan various events on campus to promote unity and bonding within the members of their demographics. Each represents either an academic college, class, or residential housing community, therefore, every single Butler student is represented three times. The senators are members of and have a duty to represent a specific demographic of Butler. Each senator earned his or her position in SGA through applying, campaigning, and participating in a campus-wide election in which Butler students vote. Senate meetings are held weekly to discuss any current topics, issues, and projects occurring within SGA and on campus. Votes for important, even controversial, topics and issues occur during senate meetings as well.  Student Senate is the closest link for Butler students to SGA due to the equal representation of all aspects of the university, but all other officers and boards are also accessible to other students. The SGA Student Senate is comprised of 40 Student Senators who represent the entire student body. Each student on this campus is represented in three ways: their academic college, their class year, and their residence. Each constituency is represented by two Senators who are responsible for outreach.